Solomon’s Perjury is about a high school that is turned upside-down after a student dies. The death is quickly ruled a suicide as the school and police look to move on. But the students believe something more is going on and take it upon themselves to uncover the truth. Now I did know going in that the plot involved a sort of mock trial put on by the students to get to the bottom of things. But I didn’t realized it would consume so much of the drama! The whole thing felt like a cop/legal drama except with teenagers playing those parts. Now there are actual cops too, but they are more secondary figures compared to the students. Solomon’s Perjury actually has a really solid story and an interesting mystery to uncover. It slowly reveals pieces of the puzzle as the students work to discover the truth. The picture begins to come together to deliver answers to our mystery. But the drama seemed like it wanted to have this dark, heavy vibe, but instead it felt more calm and laid back. The pacing also felt very slow to me. The plot developments were there, but I just didn’t feel the stakes were very high. I think a lot of this stems from the fact that many of the important plot developments are exposed at the trial in a more matter of fact manner. For me, this made these very emotional moments seem sterile. Kim Hyun Soo was wonderful as our leading lady Seo Yeon. She is a kind and smart girl who ends up leading the charge to discover what really happened to So Woo (Seo Young Joo). She did well at carrying the drama. 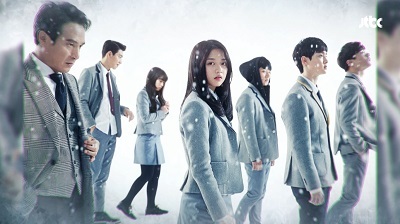 Pretty much all of the student actors except for Kim Hyun Soo felt pretty green to me. A lot of them were on the stiff side, and I just found them all to be pretty bland. Though I did enjoy the actual characters of Ji Hoon (Jang Dong Yoon) and Joon Young (Seo Ji Hoon) and their stories in particular. I do think many of the actors improved towards the end of the drama though. We got some emotional performances from many of the teens in those last few episodes as many issues finally come to a head. The drama does touch on some very heavy subjects including bullying, child abuse, domestic violence, and suicide. That’s a lot of heavy themes. While I thought it gave a good effort in addressing these topics, none of them were hit on particularly deep. But there are definitely those heartfelt moments where the characters open up about these struggles. I think it would have been more helpful to actually get to know each of the characters. Most of their pain and struggles were touched upon in a more matter of fact way rather than spending quality time really getting deep with them. And some of the characters that went through the most difficult circumstances, like Woo Hyuk (Baek Chul Min) and Joo Ri (Shin Se Hwi), were so unlikable for most of the drama that it was hard to feel sympathy for them. Even as we learn about their struggles they remain unlikable people because they seem so uncaring. Of course, we do eventually see some movement, but I really had to work hard to keep the circumstances that made them into who they are in mind in order to create some sympathy. While I most certainly enjoyed parts of Solomon’s Perjury and appreciated what it was trying to do, it just wasn’t to my tastes and didn’t really come together for me. 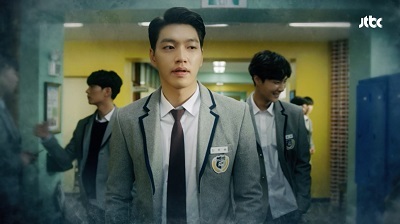 Even though it wasn’t really my kind of drama, Solomon’s Perjury is solid enough that if you like high school, mystery, and legal dramas, I would recommend it. 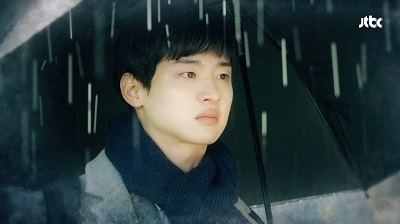 This entry was posted in Reviews and tagged Baek Chul Min, Jang Dong Yoon, kdrama, Kim Hyun Soo, Korean Drama, Seo Ji Hoon, Seo Young Joo, Shin Se Hwi, Solomon's Perjury. Bookmark the permalink. But am glad that I said nothing wrong. Ok I’m sorry but I just watched this drama and I don’t agree with this review at all. The following rant/my review contains spoilers for anyone who read the review in order to decide if they were gonna watch it. And I promise you that for this show you really don’t wanna be spoiled. This show is one of the best I’ve seen in a really long time and anything under 8/10 feels unfair. However you’re not gonna like it if you prefer light high school dramas that focus more on the relationships of the characters. This is very much like a legal drama mixed with a team drama. I liked this show anyway, even though I personally don’t like legal dramas all that much. I do however like crime shows. Also, don’t watch it expecting romance either. And now the following text contains SPOILERS. It was anything but slow paced and I really don’t think they could’ve handled these heavy subjects any better. The entire meaning behind the show was related to how suicide really isn’t the right way to go because you lose the possibility that things could and probably will get better. Sure the focus on that and on the trial left less time for the other things, but I think they still managed those subjects pretty well. Take the subject of abuse for example. They showed not only physical abuse as is more common in media, but also psychological and verbal abuse in Joon-young and his mom. They showed the kids suffering and what situations abuse can lead to, both over all but also with the kid’s behavior and how others suffered from that. Woo-hyuk was a jerk who took his anger out on others, Ji-Hoon pushed it down in order to become an ambitious and intelligent young adult and Joon-young was quiet and reserved, secretly harboring suicidle thoughts. And then this was resolved. 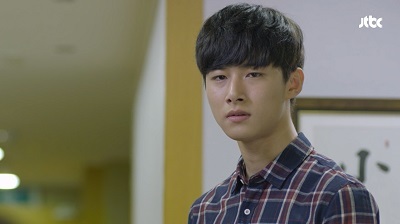 The only person still with his abuser by the end was Joon-young, but he barely saw his mom and there they also showed a solution in them going to therapy together. Then there’s the thing about Woo-Hyuk and Joo-ri being unlikable and hard to sympathize too throughout the entire show. I wholeheartedly agree that they were both douches. Woo-hyuk was a terrible bully and Joo-ri spent most of her time screaming, lying, being rude and occasionally having these crazy breakdowns that made me wonder if she actually had some sort of mental disorder. They seemed pretty irredeemable. Then there were the first sympathy cards and I didn’t like them after that either. Yes, the fact that your father beats you is terrible, but don’t beat others because of it. Yes, I’m sorry you were bullied, but don’t tell your golden hearted best friend that she’s fat and stupid when she’s freaked out because of a lie you made up. But then there was that scene when Ji-hoon forced Woo-Hyuk to realize exactly what a tyrant he’d been. He knew it was bad of him to beat people up, but he genuinely hadn’t realized just to what extent his actions affected others. And when he did, all he could to was stand there in front of so many of his victims and apologize with tears running down his face. The show wasn’t trying to tell us that everything was fine after that and that he was forgiven, with some of the students straight out saying that while it’s great that he’s realized his wrongdoings, he’s still done way too much damage to be forgiven. I think this is a very well-written and thought out show, with very few strings missing when the knot was tied. It’s unbelievable suspenseful and not a single one of the many reveals felt forced or rushed. Obviously it’s not gonna be as good if you were expecting a normal high school drama, but the characters are still very much like high school students. I would also like to point out that none of the actors felt like rookies. There were maybe a handful awkward line deliveries at most and I think that by the third or so episode they had all fully grown into the characters. And while a few characters seemed plucked from the handbook of essential high school characters, like her best friends and the class clown, but they still felt like real people and were 3 dimensional enough to show other sides of those stereotyped characters. So I would like to give this show a 9/10. The reason why it’s not 10/10 is since I felt like a few things were left out of the ending, like why So-woo’s brother said what he said and what that meant. I don’t meant to sound like I thing your opinion is wrong by the way if that’s how it came across. I just don’t agree and wanted to explain why, as well as share my more positive opinion so that people who are deciding whether or not to watch it see another side to it. Thanks for making a review. Don’t worry, I think you wrote your thoughts wonderfully 🙂 I actually agree with most of what you said. This drama has an excellent story that develops really well and touches upon some very difficult and hard hitting subjects.